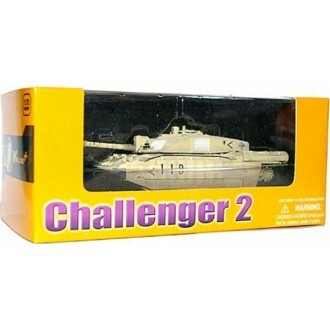 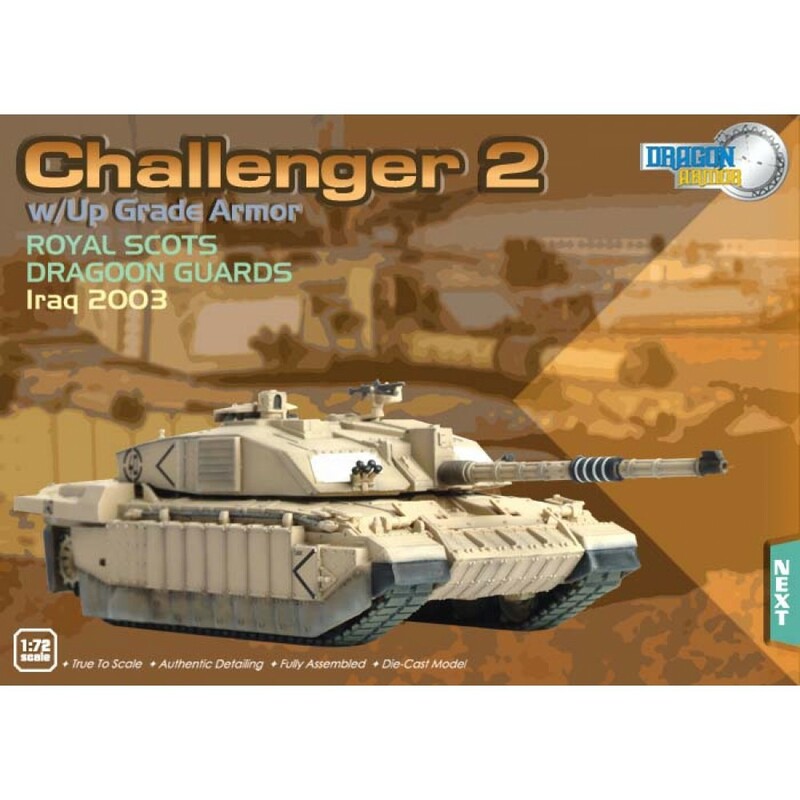 The superb Challenger 2 (CR2) is the British Army’s Main Battle Tank. 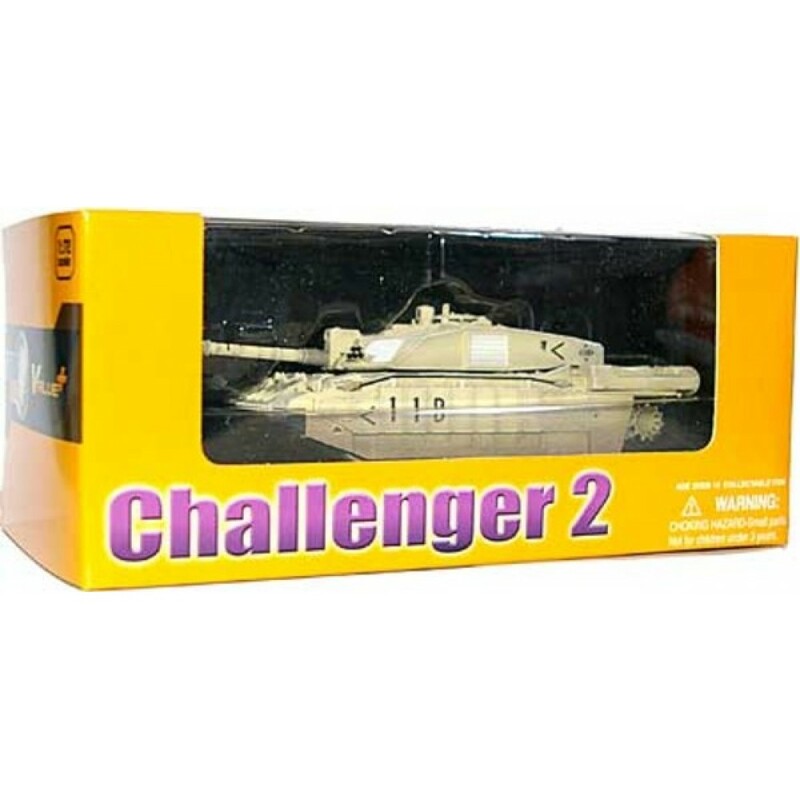 The CR2 is based on the Challenger 1 that served with distinction on operations in the Gulf War and the Balkans. 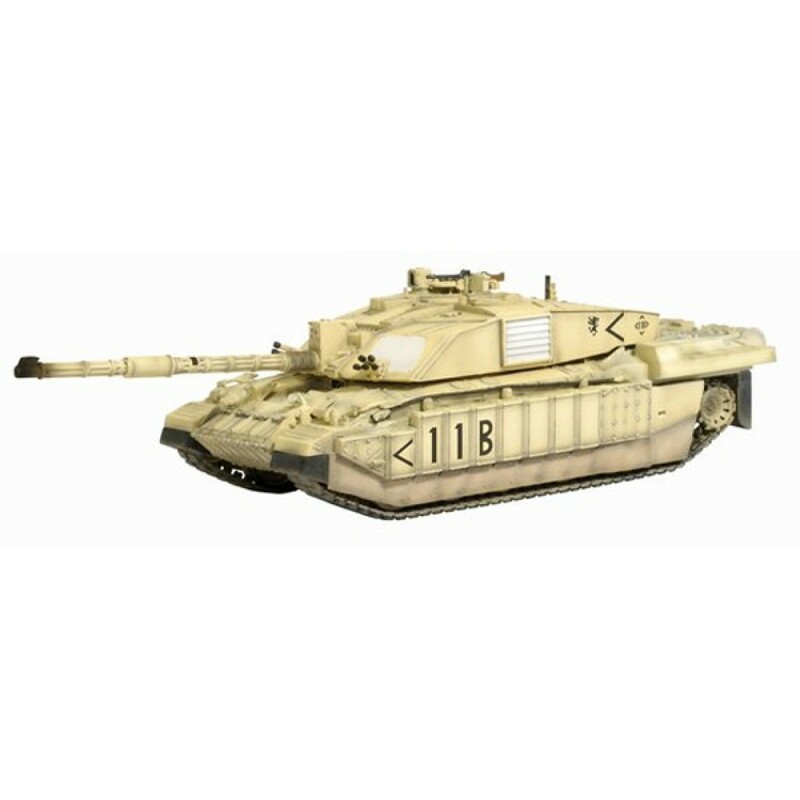 Only 5 per cent of Challenger 2 components are interchangeable with its predecessor; over 150 major modifications include a completely new turret, L30 CHARM 120mm gun and second generation Chobham armour. 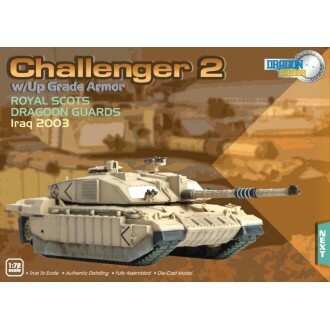 The Royal Scots Dragoon Guards were instrumental in capturing Basra in April of 2003. 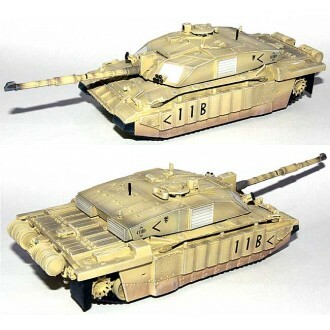 This authentic 1/72 scale model is part of Dragon Armor's Value Plus range.